Apple Computer chose a Carnsmedia website to show the iPhone 6S’s 3D Touch feature in the Tips section on the new phone. Carnsmedia is a creative marketing agency in New York City’s SoHo neighborhood that specializes in responsive websites, social marketing and engaging photography for food, beverage and hospitality industries. Say, “Tip” to your new iPhone and Siri will bring up tips for your new iPhone. Apple discovered littlepiecompany.com on their own. 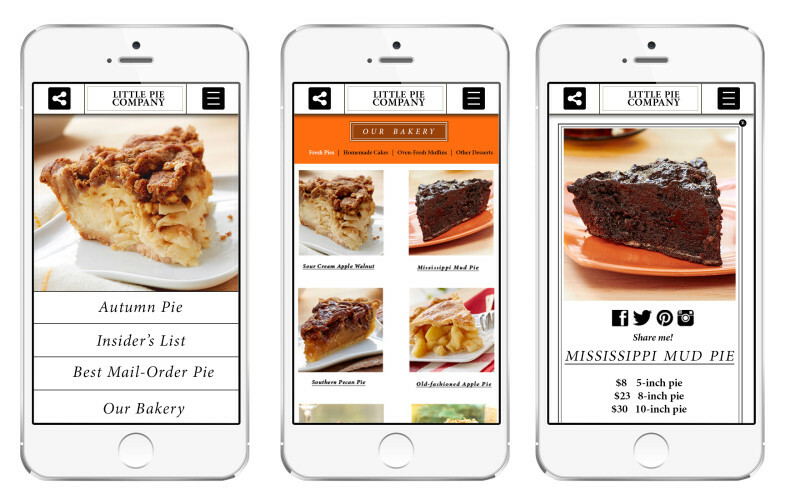 They loved how Apple’s 3D Touch feature was designed into the bakery’s mobile website before Apple even came out with the feature. Little Pie Company came to Carnsmedia with a request to bring their 30-year-old business into 2015. Their budget was small but enough for a comparative brand audit, positioning copy, strategic social marketing support and new responsive website to get them on track to compete with new bakeries now and in the future. Sales are up 25% at Little Pie Company in the first year of doing business with Carnsmedia. We designed a typical top navigation for the website but after viewing the website on an iPad, I realized that we hold devices on the bottom (not the top) so why would the navigation go on the top? It should live on the bottom (next to our hands). We also realized that Little Pie Company’s pies change with the season, so the navigation should change too. We created a custom navigation experience that reflects what the business is doing right now. We taylor these messaging points to always hit their unique selling points then we strategically communicate these points to targeted social media channels. 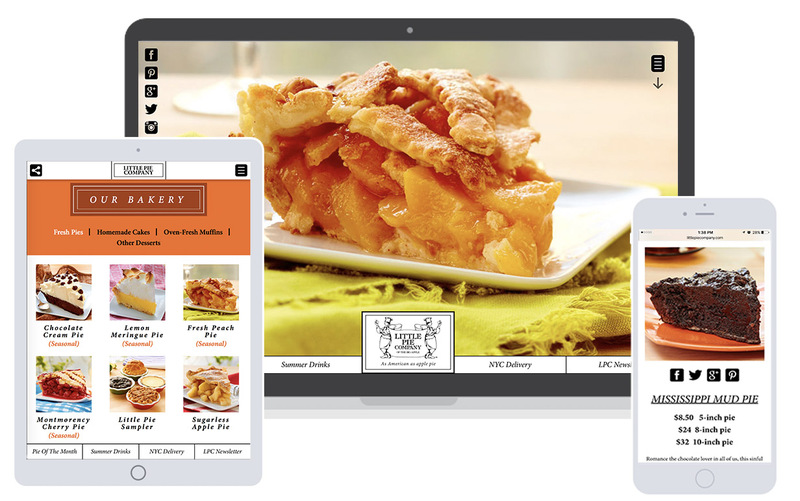 I’m personally satisfied that this website enabled by Apple’s iPhone 3D Touch gives a little bakery in midtown NYC an opportunity to ship and sell their fresh pies across the country. 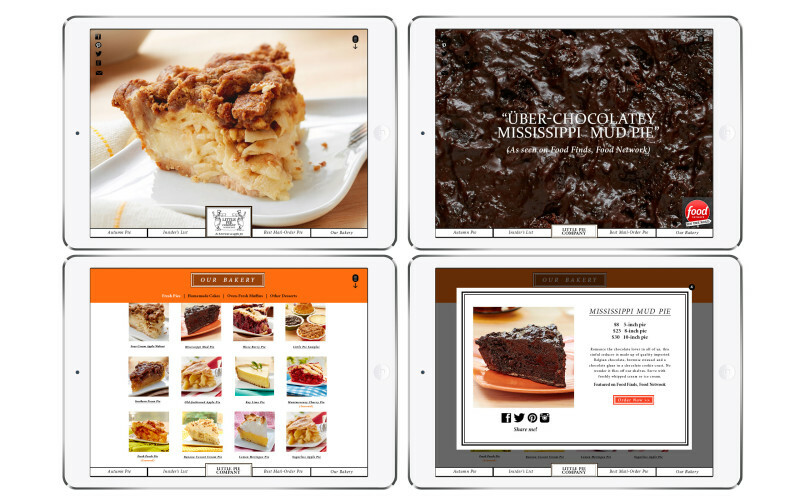 Contact chad@carnsmedia.com to inquire about having Carnsmedia design, write and host a website for your bakery. Chad Carns’s digital marketing career began appropriately enough at an ad agency on New York City’s Madison Avenue. Carns earned global recognition early in his art director career with several awards in both print and digital medium. He later transitioned his focus to the beauty industry where he art directed photo shoots, designed websites and spearheaded the branding and global social strategy for a beauty company doing business in over 120 countries. Constantly reinventing himself, Chad followed his passion for food, wine and culture downtown to Greenwich Village where he wrote, designed and independently published The Gourmet Bachelor, a trendy cookbook featuring easy recipes for two. Carns studied culinary arts and wine at prestigious institutions in NYC. He is a distinguished guest judge at International Culinary Center and certified Tuscan Wine Master. As a cooking personality, Chad established influential media relationships from his appearances on The Today Show, Comedy Central, SpikeTV, Toni On! NY, and in Marie Claire magazine. Carnsmedia is a product of Chad’s passion for food and digital media. He oversees creative direction and business strategy for a team of digital media juggernauts that support many of the top chefs, restaurants and trendy bars in New York City. 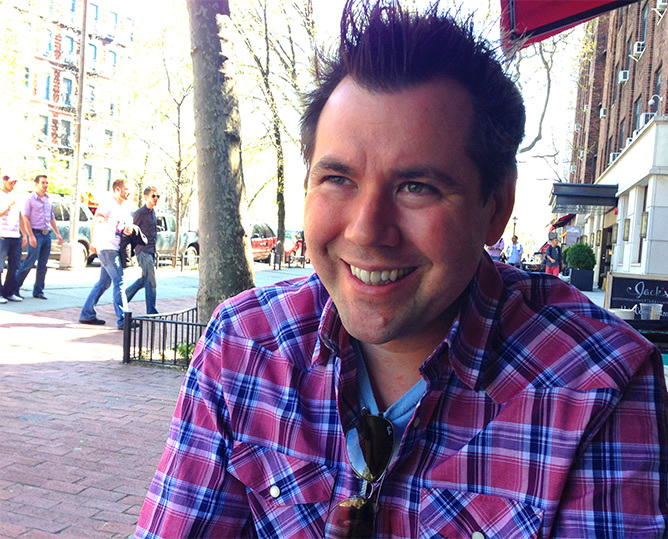 Chad is also editor-in-chief at thegourmetbachelor.com, a popular gourmet lifestyle website.